Active ingredient of Danelvin® is Fingolimod. Fingolimod is prescribed for treatment of adults with Relapsing – remitting form of Multiple Sclerosis, especially in patients who Had failure in treatment with other agents or have sever, acute progressive form of MS.
Danelvin® does not cure MS, it helps on decreasing frequency of attacks also help on slowing down the physical problems of MS.
1 How does Danelvin® works? Danelvin® can decrease Lymphocytes movement and prevent them to reach in to brain and spin which leads to protection central nervous system. If you have slow heartbeat (Bradycardia) or irregular heartbeat. At the beginning of using Danelvin®, it can cause slow heartbeat so may feel dizziness or tiredness. You may be aware of slowing the heartbeat or dropping the blood pressure. If you experience these symptoms inform your doctor immediately, you may need medical help. After first dose of Danelvin® is it common to feel irregular heartbeat. This can continue through the day but resolve after one month. Your doctor will ask you to stay at clinic after first dosing of Danelvin® for at least 6 hours to monitor your heart beat and blood pressure hourly. It is easier to control side effects. It is necessary to check electrocardiogram before and 6 hours after first dose of Danelvin®. Your doctor will monitor your cardiogram within this period. if you have slow heartbeat even after 6 hours, or progressive dropping in heartbeat or irregular cardiogram, it is necessary to be monitored more than 6 hours till the symptoms resolved (2 more hours up to overnight). These precautions should be considered after restarting dosing of Danelvin®. If you have history of disorders related to heartbeat or are in risk for these problem, having heart diseases, heart failure or irregular cardiogram. These conditions indicate that Danelvin® could not be your choice for treatment. If you have history of syncope or drop of the heartbeat, Danelvin® may not be your choice of treatment. You heart should be checked by a cardiologist and consult about starting of Danelvin® and monitoring precautions. Taking Danelvin® with drugs that decrease heartbeat can be dangerous. You may need to consult with a cardiologist while taking Danelvin® in order to change your medication in to products which have no effect on heartbeat. If it is not possible, Cardiologist will help you on starting Danelvin® and an over-night monitoring. If you have not history of chickenpox, your doctor will check your immunity against Varicella zoster virus. If you are not immune, vaccination is necessary to have a vaccine at least 1 month before starting Danelvin®. Danelvin® will decrease white blood cells (mostly lymphocytes). These cells protect your body from infection. During and 2 months after treatment with Danelvin® you are susceptible to infection or if you have current infection, it may worsen. In your condition any infection can be dangerous and life threatening. If you suspect any infection, fever or cold, headache with stiffness, light sensitivity, nausea with dizziness (Meningitis signs), inform your doctor immediately. If you feel your MS is progressing (symptoms like fatigue or visual change), or if you experience any new severe symptoms, inform your doctor immediately. These can be sign of a rare brain problem caused by an infection, called PML (Progressive multifocal leukoencephalopathy). PML is a condition which can lead to sever disability or death. Liver function: if you have severe liver problem, avoid taking Danelvin®. Danelvin® can have effect on liver function. If you experience any yellow skin or eye, dark urine, severe nausea and vomiting with our any reason call your doctor immediately. 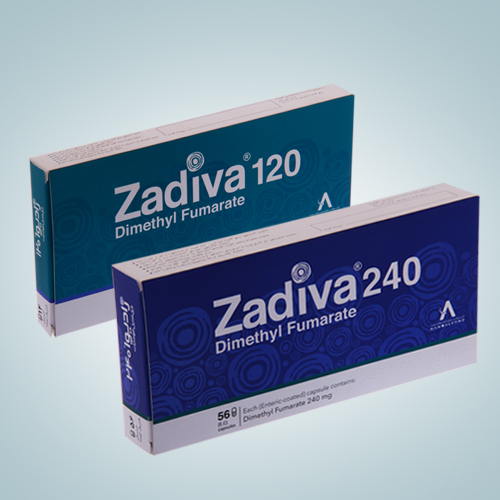 It is common to have liver function test in 12 months after starting Danelvin®. If you have any unusual result in your blood test, your doctor may postpone treatment with Danelvin®. High blood pressure: Danelvin® may cause some elevation in blood pressure. Your doctor may check your blood pressure routinely. Lung problem: Danelvin® have some effects on lung function. Patient who have severe lung problems or smoker’s cough, are more susceptible to this problem. Blood cell count: Danelvin® is expected to decrease blood cell count after 2 months of stopping Danelvin®, this condition will be back to normal. If you are having a blood test, inform lab about your condition, unless your test result will be confusing. In some tests, your doctor may need more blood sample than usual. Before start taking Danelvin®, your doctor should approve blood cell count, run some routine blood test and if they are not adequate enough, He/She postpones treatment. Posterior Reversible Encephalopathy Syndrome (PRES): There have been rare cases of posterior reversible encephalopathy syndrome (PRES) reported in patients receiving Fingolimod. Symptoms included sudden onset of severe headache, altered mental status, visual disturbances, and seizure. Inform your doctor immediately, if you experience any of these symptoms. Basal Cell Carcinoma(BCC): There have been some reports of a skin malignancy called BCC during treatment with Danelvin®. If you notice any sever signs like Nodule (shiny shell type), any skin patch (with different texture and color) or any unhealed lesion, inform your doctor. It is necessary to check any skin nodule before starting Danelvin®. Your doctor will refer you to dermatologist for a routine exam. If any skin reaction happens, it may be necessary to have a schedule for dermatologist visit. Kids and teenagers: Fingolimod should not be used in this group. There is no study for Fingolimod in this group. 3 How you should take Danelvin®? Danelvin® should be used under supervision of neurologist. You should take your medication according to your doctor’s order. If you are not sure how to use your medication, ask your doctor about it. you should take 1 capsule in a day. Danelvin® should be taken with a full glass of water, with or without of food. Taking your medication in a specific time of the day, can help not to miss a dose. Avoid taking your medication more than order. Your doctor may change directly from other treatment options like Beta interferon, Glatiramer acetate or dimethyl fumarate in to Danelvin®. It may need some tests. If you have history of taking Natalizumab, you may need to stop your medication 2 to 3 months before starting Danelvin®. Switching from Teriflunomide to Danelvin® may need monitoring or in an acceleration elimination method. If you are taking Alemtuzumab, you may need a complete checkup for switching to Danelvin®. Ask your doctor or pharmacist about duration of therapy with Danelvin®. If you take Danelvin® more than usual dose, contact your doctor immediately. If you take Danelvin® less than a month and you miss a dose for a day, before taking the next dose, inform your doctor. It may need same monitoring as the first dose. If you take Danelvin® more than a month and you miss a dose for a day, inform your doctor. You may need monitoring. If you take Danelvin® less than 2 weeks and you miss a dose for a day, you can continue treatment as usual. 4 How to store Danelvin®? Keep it out of the reach of children, store below 25°C in original package an away from moisture. Do not use the drug after expiry date. Do not use the drug if the primary package is damaged. Do not dispose any unused capsules in ordinary or municipal waste. Ask your pharmacist how to safely throw away any unused capsules.